"The Xen hypervisor has become an incredibly strategic resource for the industry, as the focal point of innovation in cross-platform virtualization technology. David's book will play a key role in helping the Xen community and ecosystem to grow." 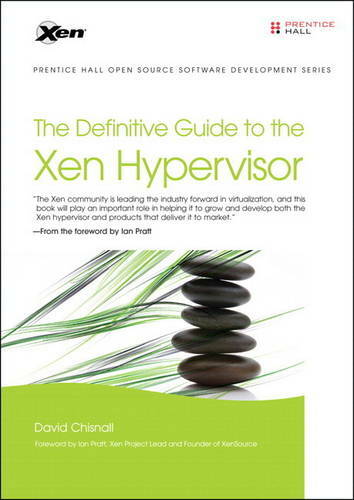 The Definitive Guide to the Xen Hypervisor is a comprehensive handbook on the inner workings of XenSource's powerful open source paravirtualization solution. From architecture to kernel internals, author David Chisnall exposes key code components and shows you how the technology works, providing the essential information you need to fully harness and exploit the Xen hypervisor to develop cost-effective, highperformance Linux and Windows virtual environments. Granted exclusive access to the XenSource team, Chisnall lays down a solid framework with overviews of virtualization and the design philosophy behind the Xen hypervisor. Next, Chisnall takes you on an in-depth exploration of the hypervisor's architecture, interfaces, device support, management tools, and internals-including key information for developers who want to optimize applications for virtual environments. He reveals the power and pitfalls of Xen in real-world examples and includes hands-on exercises, so you gain valuable experience as you learn.